He really doesn’t know what he was doing in Haiti. He was told it was to evacuate rich Haitians amid a popular revolt, but it could have also been to provide personal protection to a Haitian businessman who claimed to be doing business with the country’s Central Bank. But one thing Christopher Osman, an ex-Navy SEAL arrested in Haiti along with four other Americans, two Serbians and their Haitian driver, says he does know: It was not to assassinate the country’s recently ousted prime minister. “We’re not mercenaries. We’re not murderers. We’re just doing security work,” Osman, 44, told the Miami Herald. In the ever-evolving mystery of what a disparate group of ex-soldiers and security contractors were doing in Haiti last month as the country disintegrated into violence amid paralyzing protests, Osman is breaking his silence. He says he wants to set the record straight about the distorted narrative that is emerging. “I don’t do work that is being described in these articles,” Osman said. “All of these stories that we were there to rob the bank is 100 percent lies. “From the time we landed, to today … we were always told that we were there working on behalf of the Haitian government and people that were close to the president,” he said. The group’s arrest — and subsequent release andreturn to the U.S.— in mid-February continues to roil Haiti, where opposition senators this weekaccused colleagues in the lower Chamber of Deputies of firing the prime minister, Jean Henry Céant, in order to prevent them from finding out the truth about why the seven foreigners were driving around Port-au-Prince in two unmarked vehicles with a cache of semiautomatic weapons, knives, drones and satellite phones. Senators had invited Céant and Justice Minister Jean Roody Aly to attend a Monday hearing to answer questions about why the men were in the country, who hired them and who authorized Aly to have them transferred to U.S. custody, where they were then flown out of Haiti like visiting tourists. But before Céant could tell his side of the events, he was fired. On Thursday, after protesting the decision and calling it illegal, Céant gave his resignation to President Jovenel Moïse, who earlier had named communications minister Jean Michel Lapin as acting prime minister until a new one is chosen. But the night before, Osman decided to break his silence. He was upset by reports that painted him and the others as potential bank robbers. Osman says he had been recruited by a Dallas security contractor, Hawkstorm Global, to evacuate wealthy Haitians in the midst of the chaos in the capital. But after arriving in Port-au-Prince, he said, he was told the job was to provide personal protection to a Haitian businessman who was signing a multimillion-dollar bank contract. Hawkstorm Global did not respond to the Herald’s request for comment. Called “mercenaries” and “terrorists” by Céant and Haitian opposition lawmakers, the men have been accused of a political assassination plot and trying to pull off an $80 million electronic bank heist on behalf of the president, Moïse. That theory was most recently floated in a story by The Intercept, an online news site. But it’s nonsense, Osman said. He accuses a never before mentioned member of the team — a sixth American, Mike Phillips — of being the source of the story.A former Navy SEAL, Phillips abandoned the men and fled to the U.S. via the Dominican Republic, Osman said, after they were stopped by Haiti National Police at 2 p.m. on Feb. 17, a Sunday, about a block from the Central Bank. 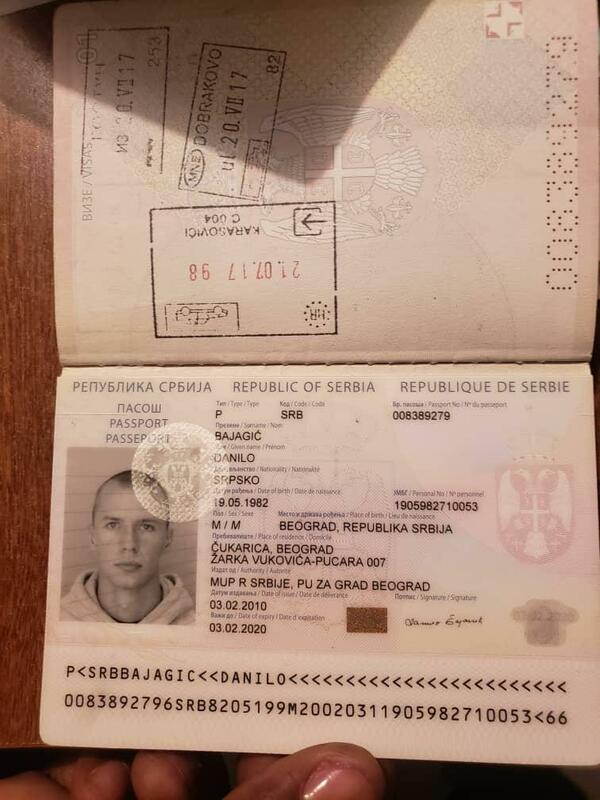 “He was our team leader,” Osman said of Phillips, whom he described as a retired Virginia police officer and former Navy SEAL lieutenant commander who also was the person who recruited the two Serbians for the Haiti mission. Phillips did not return phone calls from the Herald. The first of the men to give an on-the-record interview, Osman first went public about the clandestine mission in a now-deleted post on his Instagram page shortly after the U.S. State Department secured the group’s release. “We are being used as pawns in a public fight between him and the current Prime Minister of Haiti,” Osman said, referring to Céant. In the interview with the Herald, Osman said there was talk about the group’s meeting with President Moïse but it never materialized. He confirmed reports that individuals close to the president, including an adviser and the justice minister, did attempt to secure their release from Haitian police custody. At the center of the intrigue is the Central Bank, the equivalent to the U.S. Federal Reserve. Osman said he was told after landing in Haiti that they would be escorting a Haitian businessman, Josue “Josh” Leconte, to the bank that Monday to sign a multimillion-dollar deal. Leconte, a U.S. citizen, heads a civil engineering firm in Haiti, Preble-Rish Haiti, which soondeleted its “About Us” page after the men’s arrest. 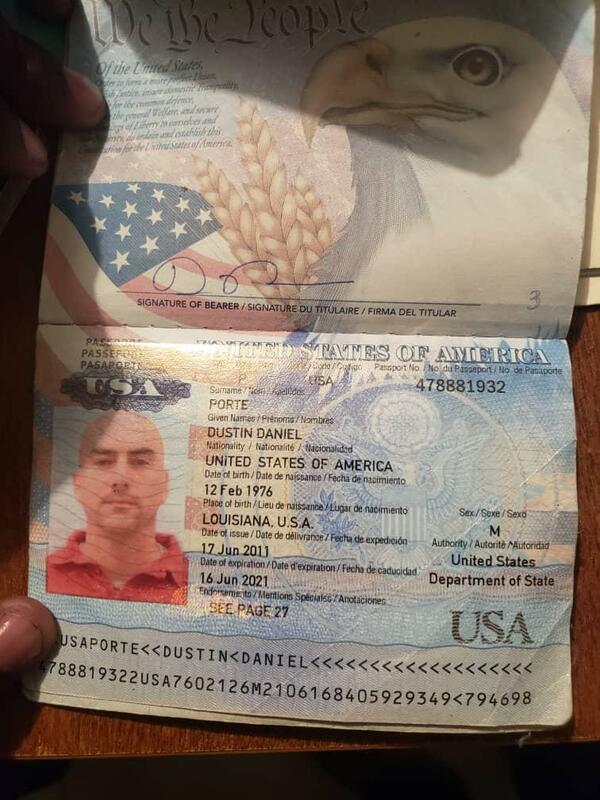 Leconte’s partner in the alleged bank contract, Osman said, was another team member, Dustin Porte of Patriot Group Services, a Louisiana-based contractor. “He gave the State Department his business partner’s number back in the United States to email the State Department a copy of the security contract, which is between Patriot Group Services and the Haitian government,” Osman said. But exactly who in the Haitian government, which is run by the prime minister, signed the contract? Osman said only Leconte and Porte would know. Neither man could be reached for comment. The U.S. State Department declined to comment. Central Bank Governor Jean Baden Dubois said Osman’s story, like others about the bank’s role, makes absolutely no sense. The bank is not a commercial institution, has no clients and had no contracts with Leconte or Preble-Rish Haiti. In 2016, he said, Patriot Group Services did sell the bank a telecommunications radio but that is the extent of their relationship. Dubois said the latest tale — that the men were part of a scheme to transfer $80 million in funds that Haiti is holding in escrow for Venezuela’s PetroCaribe oil program— is also untrue. “It is something that is completely impossible,” he said, noting that any movement of the money requires both the signature of the Haitian State and the Venezuelan ambassador. Dubois said the first thing he did the Monday following the men’s arrest was review the bank’s cameras. He saw the men were outside, but “there was no aggression,” and they spent somewhere between 16 minutes and 23 minutes outside the bank. Osman admits that since returning home to San Diego he has questioned the information he was given about his mission. 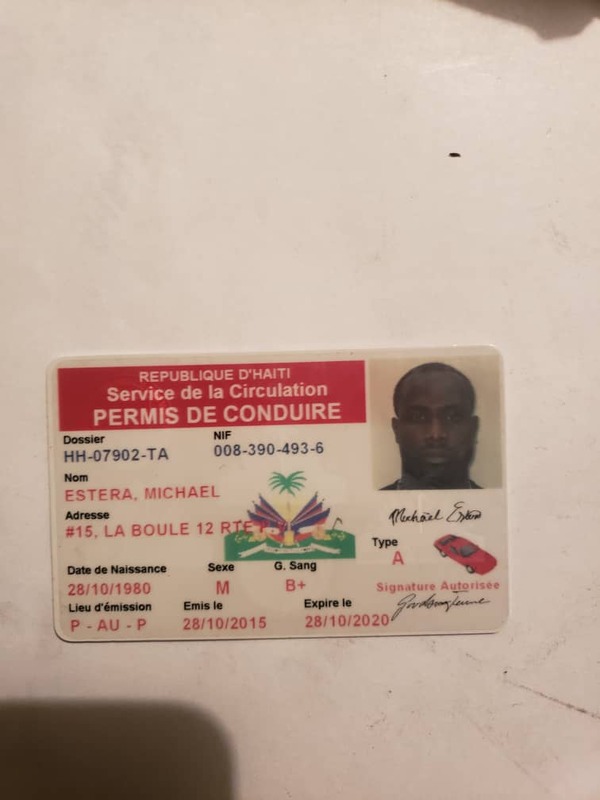 He can’t help but think of the ease with which Leconte, who eventually fled the country along with another man involved in the mystery, Fritz Jean-Louis, got out of his vehicle and walked up to police as the group was being detained. Jean-Louis owned the vehicles the men were riding in, Osman said. The entire mission, he said, was supposed to be 10 days long. And he would be paid $1,000 a day with half paid up front. Osman said he was recruited for the job by Lance and Talon Burton, who run Hawkstorm Global, and told about the job in Haiti. The last to arrive in Haiti, Osman flew from San Diego to JFK into Port-au-Prince on Feb. 16. He was aboard a commercial flight, as was Talon Burton. The rest of the team, Osman said, had come in by private plane. He was met at the airport by a Haitian driver, Burton and team member Chris McKinley, another ex-Navy SEAL. The next day everyone went to Leconte’s home. At 4:30 p.m. another team member was flying in, and they would need to head to the airport. “It’s a guy I don’t know, I never met,” Osman said. 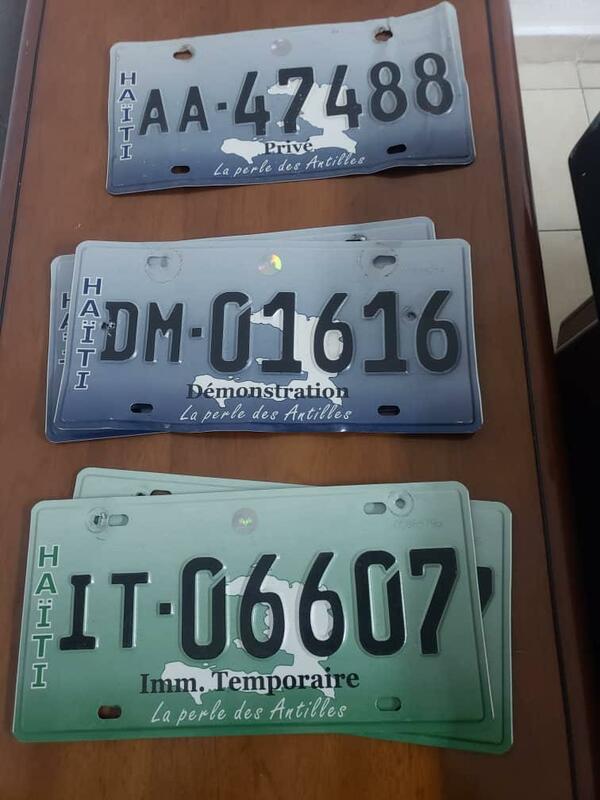 Osman said the arsenal of weapons that Haitian police seized and put on display was already in the vehicles when they got in to leave for the airport to pick up the new team member. Osman said he was in the second vehicle bound for the airport, but got lost after his GPS didn’t properly work. That’s when they decided to join the first vehicle and head for the bank. Someone, however, tipped off police, who stopped the two vehicles about a block away from the bank. A masked protester clutching a stone runs amid tear gas launched by Haiti National Police during a demonstration demanding the resignation of Haitian President Jovenel Moise near the presidential palace in Port-au-Prince, Haiti, Wednesday, Feb. 13, 2019. Osman said during the stop both their interpreter and Leconte tried to explain to police who they were. Joel Casseus, the head of the Port-au-Prince police station, told the Herald in an interview after the arrest that backup officers were called after the men proved to be uncooperative. The men would only tell police that they were in Haiti “on a government mission,” he said. The men didn’t specify which government had hired them. But at one point, Casseus said, they told officers that “their boss would call our boss,” he said. Soon a third vehicle arrived with another individual, this one speaking French. He too was arrested. 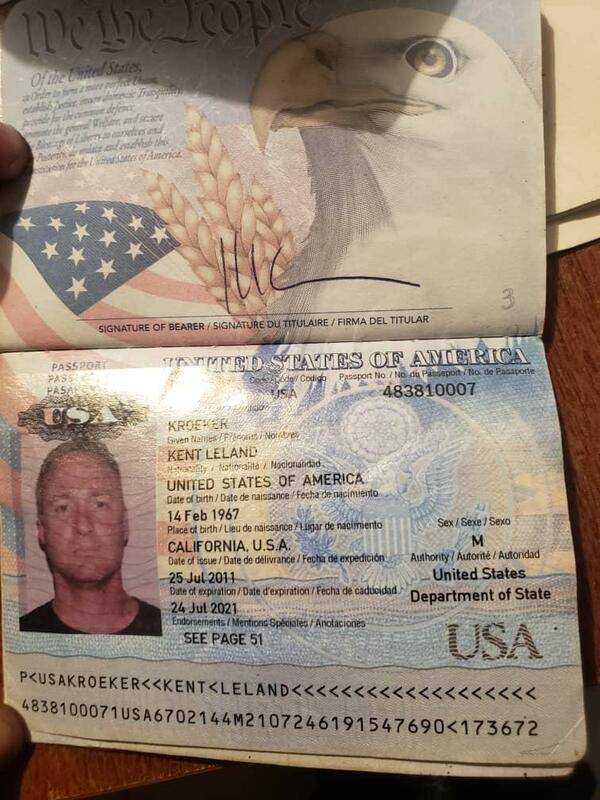 The man, Osman said, was Kent Kroeker, another team member who had pulled up with Leconte and Phillips inside. As he walked toward the police, Leconte leaned in to their waiting SUV and said they would be getting out in five minutes. “Kent also speaks the local language there. He was talking and letting them know it was just a misunderstanding, and these guys were just doing their job, no big deal,” Osman said. Osman said Philips headed back to the hotel and eventually left Haiti. Osman is still upset by the abandonment by not just Phillips but Leconte.